Stanbrook Abbey is a fantastic wedding venue in Worcestershire. Wedding photographers are spoiled for choice when it comes to locations for photos, both inside and out. 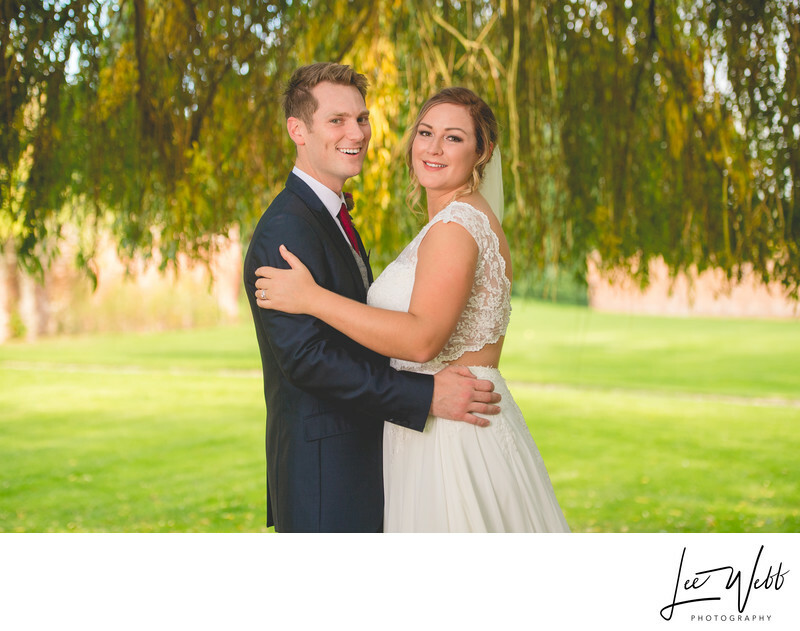 This photo was taken at one of my favourite locations at Stanbrook Abbey, under the willow tree by the lake. Amazingly, a lot of the time this location isn't shown to prospective wedding clients of the abbey, so it's always nice to surprise my clients with this beauty! The enormous will tree features a lovely view over the lake, and has a lovers' swing big enough for two people. 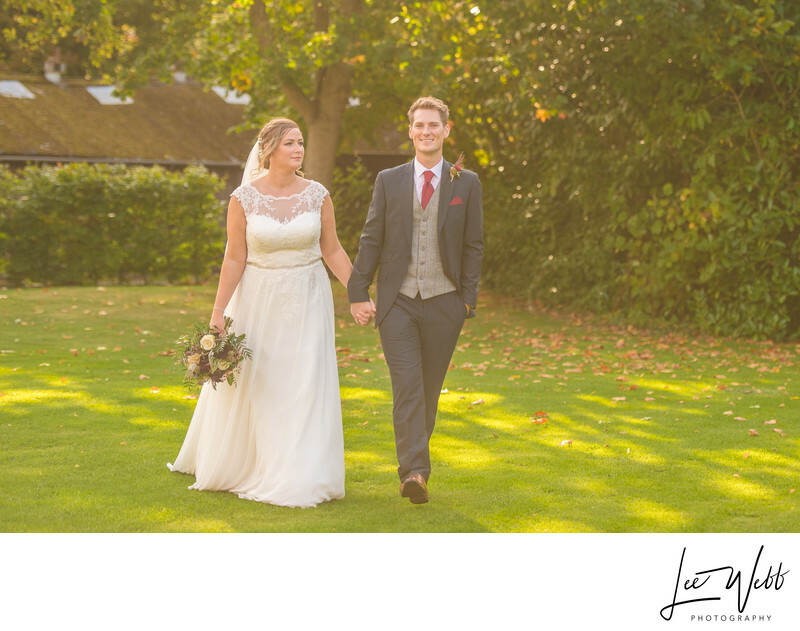 One of the struggles photographers face is direct sunlight during a wedding, this is because white (the usual colour for a wedding dress) reflects a lot of light whilst a dark groom's suit absorbs light. This often leads to a wedding dress being too bright and the groom's suit too dark. The easiest way to combat this is to find a large area of open shade; these are solid gold to wedding photographers! One such space is under the willow tree at Stanbrook Abbey. For this photo, to balance the bright sunlight outside with the shade of the tree, I used an additional flash to brighten the couple slightly, bringing a whole extra dimension to the photo.